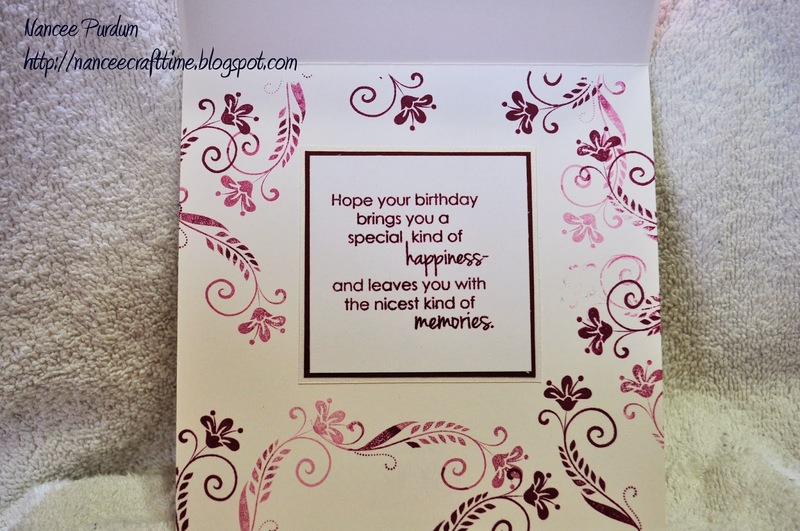 A Quick and easy card….. I have another birthday card to share. I got the idea from a posting on Facebook. The creator is Sarita and you can find her original card here: http://littleprincesscards.blogspot.com/2011/12/holly-swirls.html. I did change mine up a little bit, but used her technique. 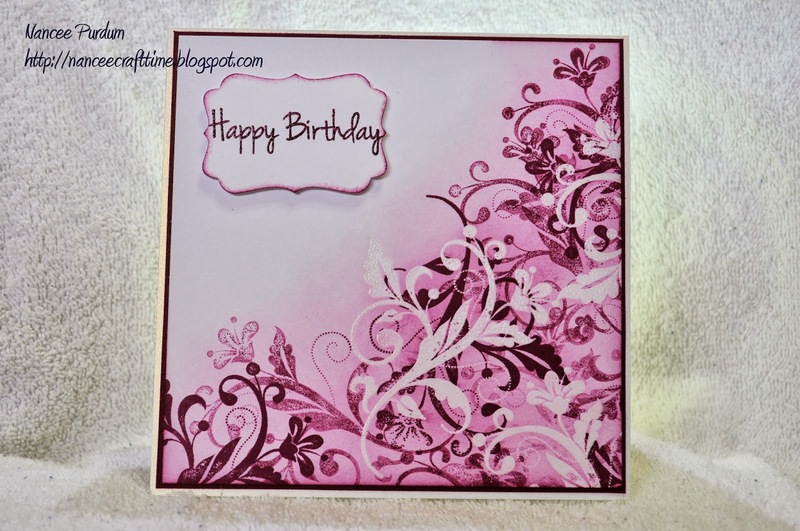 I used Nina Solar White cardstock, an image from Stampin Up, Flowering Flourishes, and Rich Razelberry ink also from Stampin Up. I also stamped on the inside of my card with another stamp from the same stamp set. I used the same ink. This was a quick and easy card to make. Perfect for “need a card in a hurry” time! 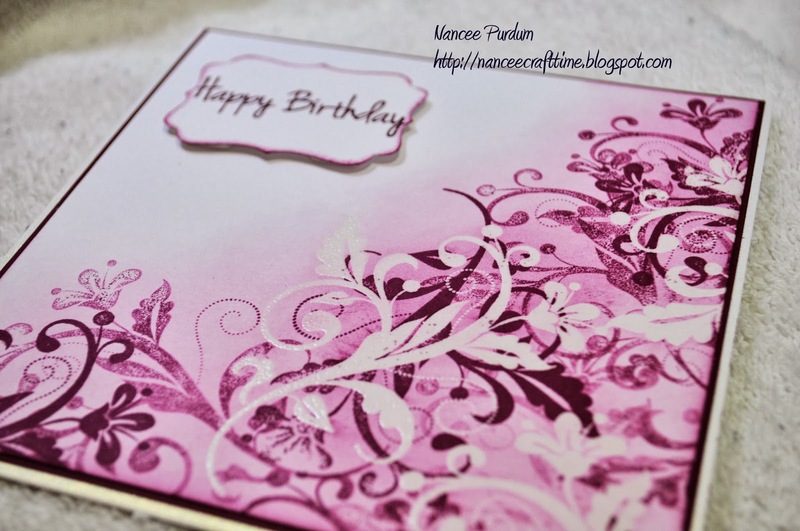 Beautiful colors and card design Nancee. So pretty Nancee! Lovely stamping! ← Bella Welcome’s New Little One!